Tokyo DisneySea, the second theme park at the Tokyo Disney Resort, opened its doors Sept. 4, 2001. The park, “where adventure and imagination set sail,” is themed around the exciting adventures one can have when they explore the world by sea. The park currently includes seven lands: Mediterranean Harbor, American Waterfront, Mysterious Island, Mermaid Lagoon, Arabian Coast, Lost River Delta and Port Discovery. The park contains many attractions that domestic Disney fans would recognize, including 20,000 Leagues Under the Sea at Tower of Terror, as well as attractions that are unique to this park, such as StormRider, Raging Spirits and Aquatopia. 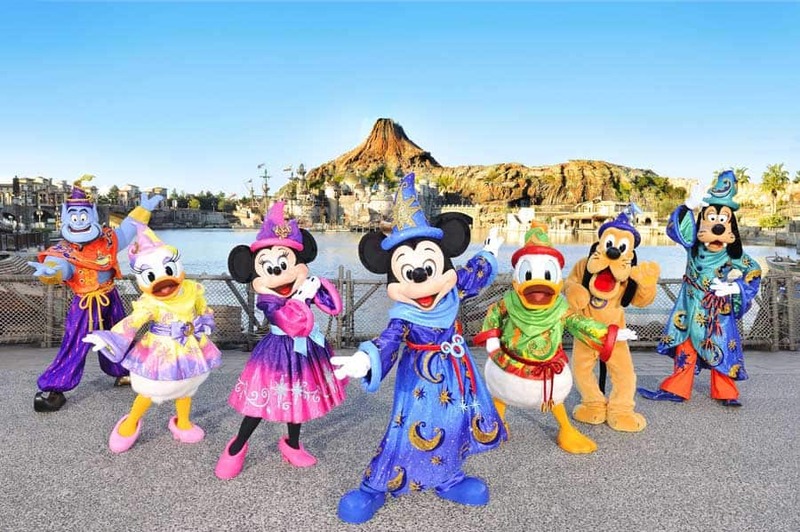 Tokyo DisneySea has been celebrating this week’s 10th anniversary in a 20-month “Be Magical!” celebration that features special entertainment, themed décor, colorful character costumes, and more. As a part of the celebration, the park has been decorated with colorful magic hats that belong to different Disney characters. 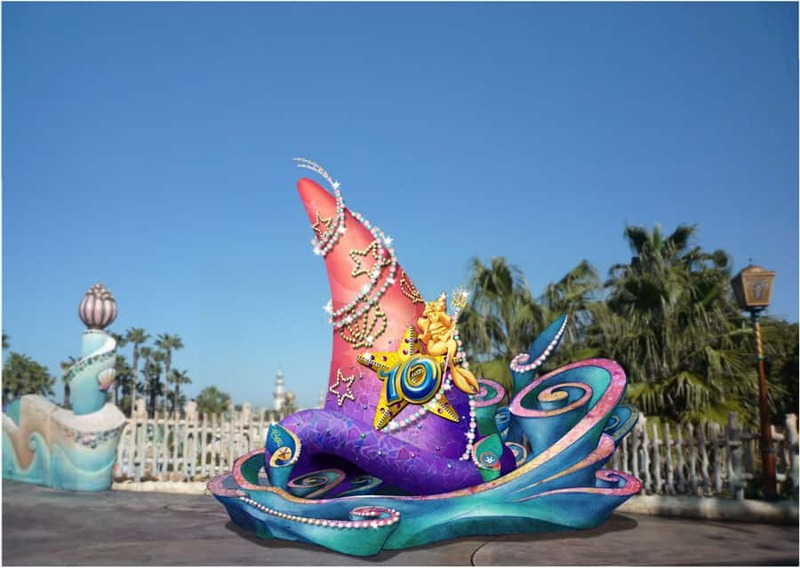 For example, Minnie’s hat, which is pink and features large bows and heart-shaped ornaments, decorates the American Waterfront area of the park, while Ariel’s hat, which was created in the style of King Triton’s Castle, tops off Mermaid Lagoon. At each magic hat, guests can step into the role of sorcerer by placing their hands the hat, causing it to emit lights and sound. They can also purchase special magic wands that, when waved at the hat monuments, cause even more magic to come to life. Happy Anniversary Tokyo DisneySEA…the most amazingly themed, detailed and operated Disney Park in the world! Tokyo Disneysea is a truly amazing themepark, transcending mere amusement to become a work of art. I love the narratives that weave the different attractions and ports together – like the destruction and fate of Atlantis – and the common theme of exploration and discovery. Every attraction in one way or another is driven by this positive message, be it Sinbad or Indiana Jones or even Tower of Terror. By the way, Sinbad should totally be adapted into an animated film! That said, my two favorite Disney attractions of all time and any park are at Disneysea: 20,000 Leagues Under the Sea and Journey to the Center of the Earth. Congratulations on 10 years, Disneysea, and I look forward to the day that I can come back to visit you! Tokyo’s DisneySea is amazing, I went last year and it truely is a Disney park done right. The USA could only be so lucky to get a theme park as amazing as DisneySea. I’ve also always loved the name, what a perfect compliment to Disneyland. 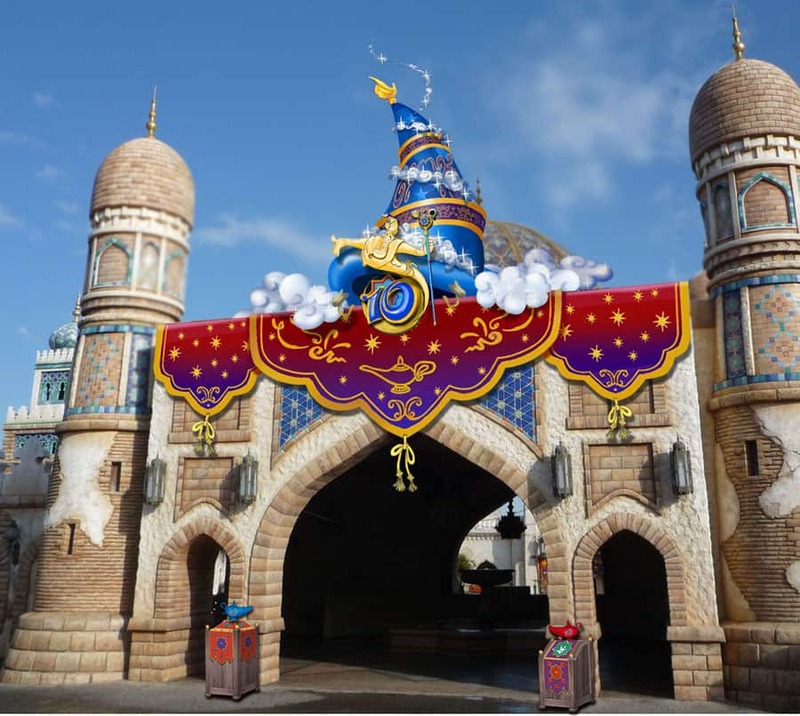 Thank you for writing about the amazing Tokyo DisneySea. The amazing Parks out in Japan don’t often get feature on this blog. I wanted to point out that the Park does indeed include 20,000 Leagues Under the Sea, but it’s not anything that most Disney fans would recognize. It’s a completely unique attraction that can only be found in Tokyo DisneySea. Technically, Tower of Terror is also a unique attraction, as it has a completely different storyline. Instead of the Twilight Zone theme, TDS’s Tower concerns the exploits of one Harrison Hightower. Thanks again for giving Tokyo DisneySea some love. Happy 10th Anniversary! This park has always looked amazing to me! I hope to visit it someday. I’ve heard nothing but GLOWING reviews. They keep coming up with all the high-quality thematic, tech and ride ideas, and we just sit here at home wishing they’d come over. Love that hat! Great pics.